Stanley 12.5-Inch Toolbox Just $5.77! 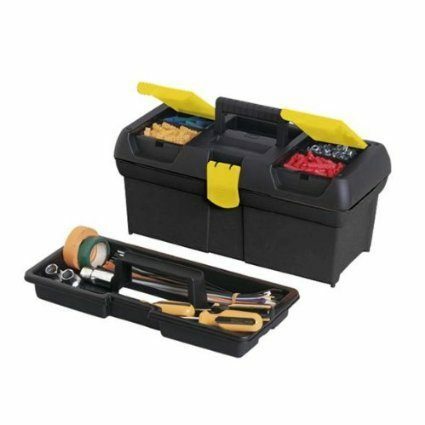 You are here: Home / Great Deals / Amazon Deals / Stanley 12.5-Inch Toolbox Just $5.77! Here’s a great deal on a toolbox for the guys out there. And, need a gift idea? Grab this Stanley 12.5-Inch Toolbox for just $5.77 on Amazon. Then, fill it with things your guy likes – tools, candy, coffee, or the basics like socks, shirts, underwear.